Selena Gomez appears to be taking after her BFF Taylor Swift because she was seen acting a bit silly at the airport on Feb. 23. Many fans were delighted to see Selena at Los Angeles International Airport on Sunday, but we assume they never expected to see the star sitting on the floor! Is this one of those instances where we're supposed to say she's just like us? Because I've certainly sat on the floor at the airport a time or two. 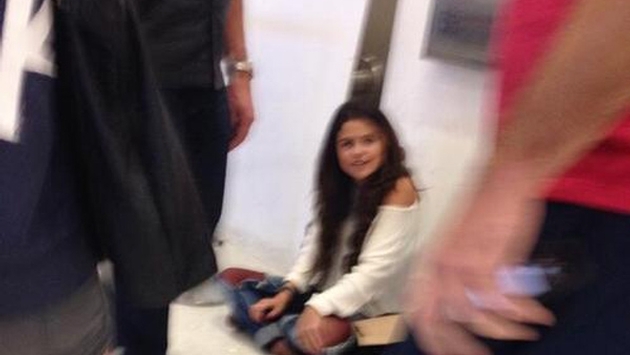 At least we know that Selena doesn't think she's too good for the floor. That's a plus. The "Come & Get It" singer was reportedly flying to Provo, Utah. It's likely her flight was delayed and that's why she plopped down on the floor. In the meantime, fans got quite the show — and a good laugh. What do you think? Have you ever plopped down on the airport floor? Would you be surprised to see a celebrity do it?